We are a small, family run company and we pride ourselves on offering a friendly, professional and personal service, all for a great price. If you are looking for something different, we offer a range of stunning upgrade options - from satin sashes, diamante buckles, ribbon bands, lace overlays, flowers and so much more! 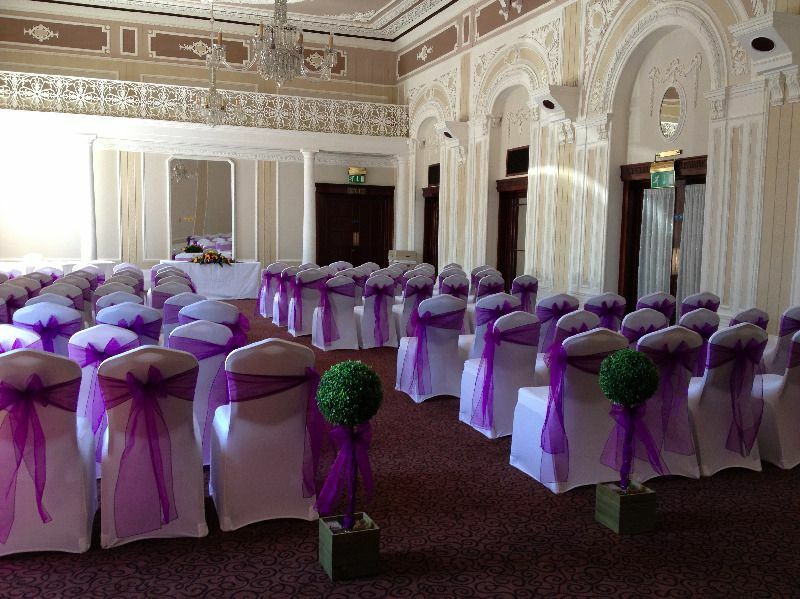 As well as chair covers, we can also provide centrepieces, table swags, runners, bay trees, table number stands and linen. Please take a look around our website and see what we can offer. If you would like to ask any questions, check to see if we are available on your date, or see colour samples, please drop me a line!